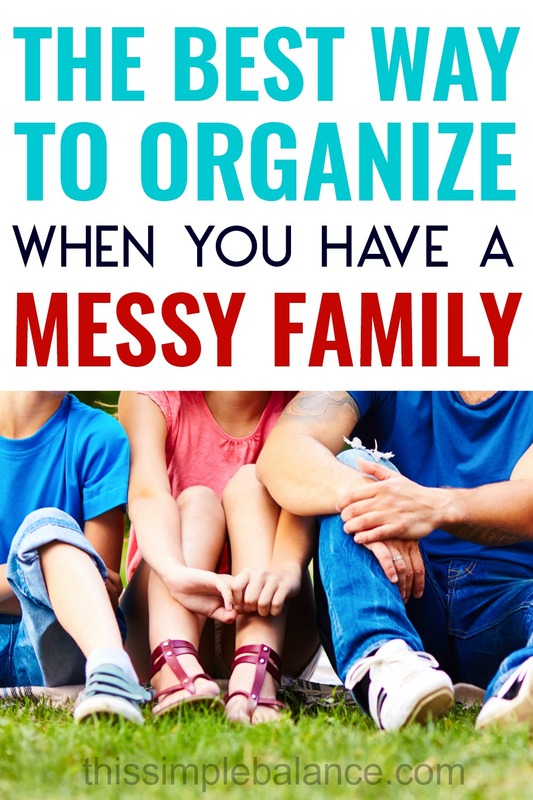 Inside: Is your family chronically disorganized and messy? Do they seem to disregard every organizational system you create? It’s time to stop organizing in a way that makes sense to you. Organize in a way that makes sense to them. Have you ever spent hours rearranging and organizing your home only to have it be a disaster the very next day? You think angrily to yourself, our house could be clean and orderly if everyone else would just get on board. That perfect IKEA storage case with drawers – one for each LEGO® color? One child always empties every drawer onto the floor to find what he wants, and they need to be resorted all the time. 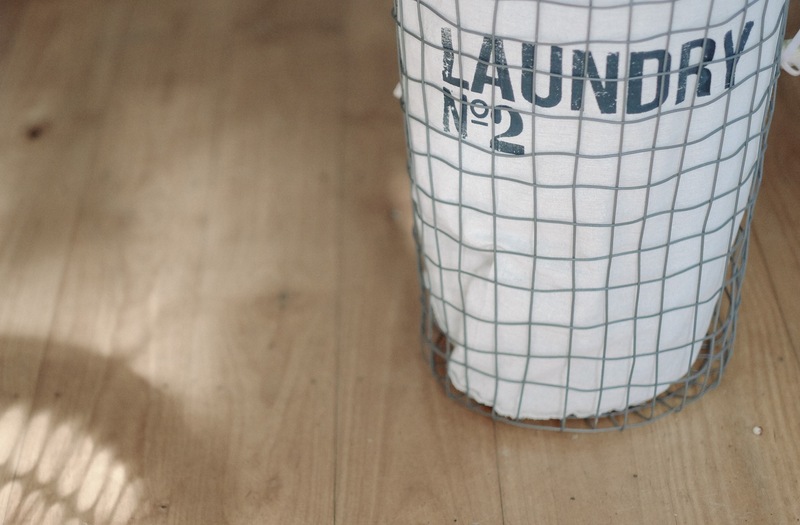 The laundry hampers that fit perfectly under the bathroom sink, one for darks, one for lights? Your husband’s clothes still end up on the bathroom floor every day, no matter how often you (kindly) show him the system. That bench you hunted for all day Saturday, the one for shoes with those adorable, sturdy baskets? Every family member consistently drops their shoes next to it. The baskets sit unused. You work really hard…for nothing. They flop almost instantly. What the heck?! It’s an exercise in frustration. The problem isn’t you, you grumble; it’s all the other people living in the house with you. If only they would change, you could finally have a clean house. I felt the exact same way…until I read The House That Cleans Itself: 8 Steps to Keep Your Home Twice as Neat in Half the Time. Overwhelmed by Kid’s Artwork? Try this. Author Mindy Starns Clark spent years trying to get organized. She read every possible book on organization but nothing worked long-term. One day, she realized why the books’ strategies didn’t work for her: they were all written by people to whom cleaning and organization come naturally. 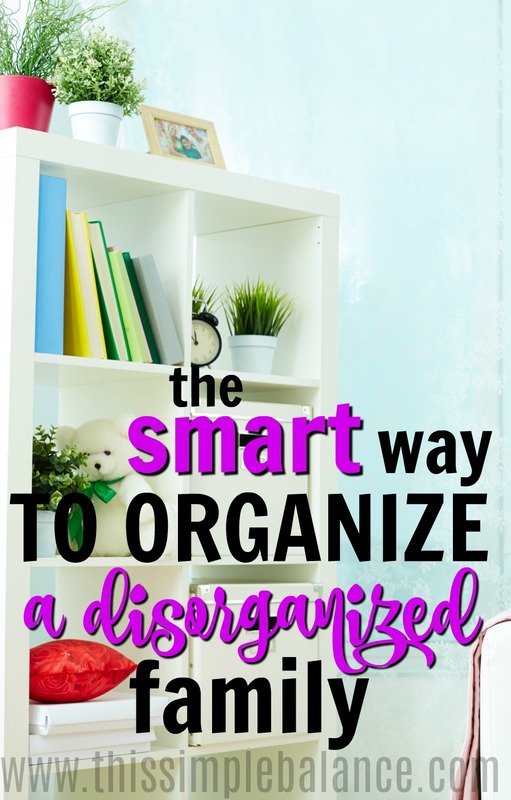 Her book approaches organization and cleaning from the perspective of people like her – or those with family members like her: the naturally disorganized (if that’s you, get the book here, and check out this blog). Oftentimes as moms, we feel an “us vs. them” dynamic, but it doesn’t have to be that way. The home functions much better when everyone is on the same team, designed with everyone’s personalities in mind. Now, you could waste hours contemplating how to change the disorderly habits of your uncooperative family members. But habits are difficult to change, especially when they’re someone else’s. Your husband’s habits are pretty much set – there’s no retraining him especially without his full awareness and cooperation. And kids? Well, some have a natural inclination towards order and others just don’t. Stop wasting time choosing storage solutions that will never work. Clark recommends looking at every room from a ladder in order to see things with fresh eyes. While this seemed like a great idea, I opted to be lazy and started discreetly observing my family in action for a few days. With time, I started to see behavior patterns and habits I never noticed before. The old me bought baskets and bins impulsively, driven by an intense urge to organize all the clutter. Now, I grit my teeth, muster a little patience. and take the time (sometimes quite a bit) to study the problem before wasting money on a hasty storage solution that won’t work. The Problem: My daughter loves to organize LEGO pieces. My son, on the other hand, searches methodically for unique pieces to craft his ships. Every time my daughter sorts by color, he dumps them all out. Back and forth they go, and everyone tires of constantly cleaning up (and stepping on) them. The Solution: This beautiful rolling cart I had my eye on? Admittedly a bad choice for my kid’s combined habits. Thankfully, I realized with time that an inexpensive under-the-bed storage container would work much better. 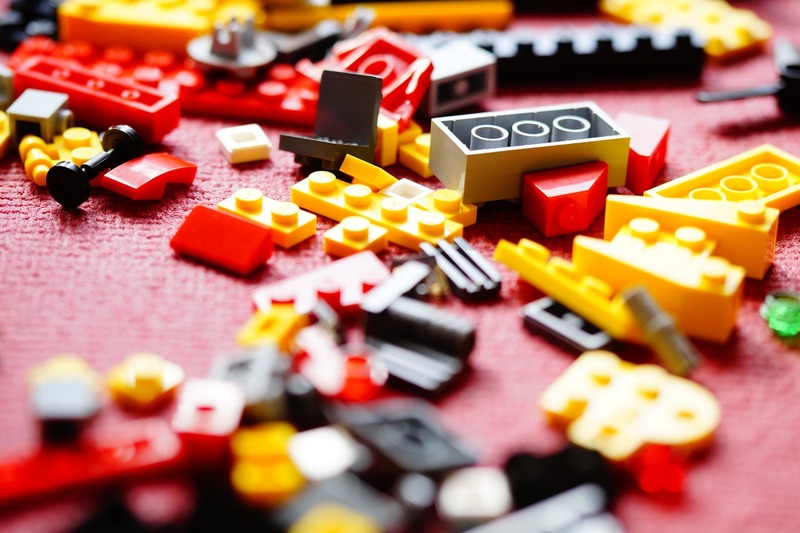 Because the length and height of the container makes the layer of bricks shallow and easy to sift through, the kids never feel the need to dump them to find what they need. The container can also now be moved from room to room easily. Another small container with compartments for the people and accessories meets my daughter’s need to sort and organize. The Problem: My husband comes home from work every day, takes off his dress shirt and hangs it on the banister at the bottom of the stairs leading to the bedrooms. It doesn’t occur to him to bring it up with him to hang up (literally, the thought doesn’t even cross his mind – I’ve asked). I get frustrated that his shirts get wrinkled, and either spend time making the extra trip to hang them up or end up having to iron, a task I hate. The Solution: Stash extra hangers in the front coat closet, where I can easily hang it up and bring it back to the bedroom at a convenient time. Problem: Laundry baskets fit perfectly in the bedroom closets, tucked away behind closed doors. But the kids constantly drop their clothes in the same spot on the floor at the foot of their bunk bed. I show them repeatedly where the laundry basket, but their habits don’t change. Solution? 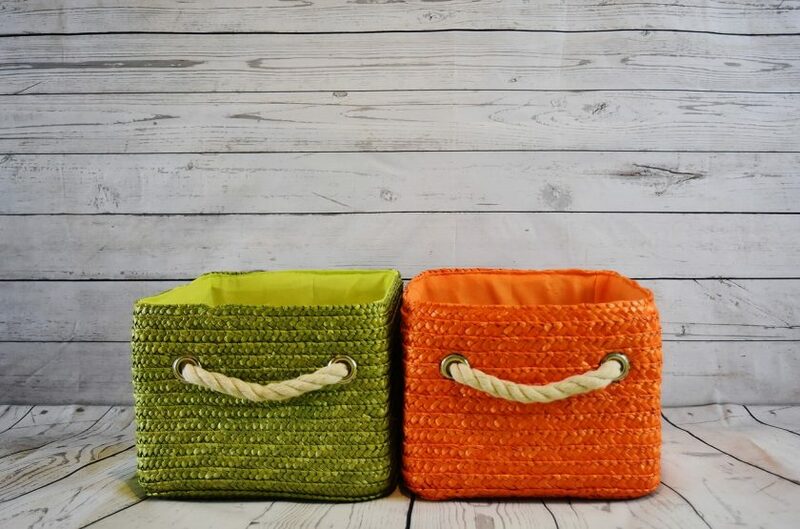 Pull the laundry baskets out of the closet and put them at the foot of the bed, exactly where they drop them every day. While I’d prefer the baskets be in the closet, I like when the clothes end up in baskets instead of on the floor. It’s a compromise that I can live with. It is possible to have a home that works for everyone, saving you time and energy tidying up every day. You just have to get over your stubborn self and work with the rest of the people who live in your house. It’s not easy! I know, but the more you work with their habits instead of against them, the easier it will be to organize your disorganized family. While I love the book I mentioned earlier, sometimes you need more in-depth organization help. 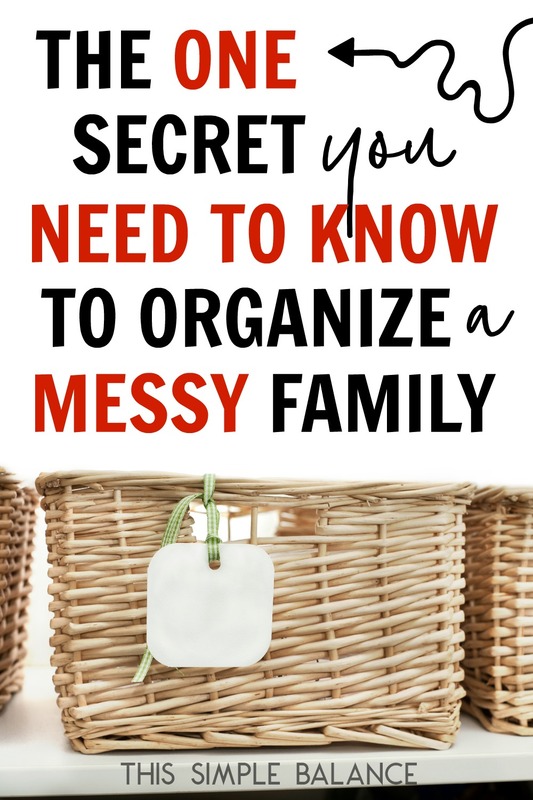 If that’s you, I highly recommend The Organized Home from Hilary at Pulling Curls. She walks you through the entire organization process step by step and addresses so many common problems beyond what I’ve mentioned here and offers the best suggestions that actually work! You can check out her organization course here. P.S. Organizing clutter isn’t going to get you anywhere. Learn how to do minimalism with kids – it’s possible! Subscribe to this 5-day e-course to find out how. So true. I have spent my fair share on organizing materials that just don’t work for us. I’ve come to realize that just a large container to put the toys in is better than asking my kids to sort out the little pieces. Now, any ideas on a husband that puts his dirty clothes on the floor, right in front of the open clothes hamper?? lol. the husband dropping clothes in front of the hamper I haven’t figured out with our current house. The bedrooms are tiny, as is the bathroom. Ideally, I would have a hamper in the bathroom because that’s where he tends to drop his clothes. Oh, and the banister is where shirts get hung (but at least it’s not on the floor!). Good grief, maybe I would move the hamper to the exact spot (even if it’s in the middle of the room) to make a point? Annoying for a while, but potentially habit building. You have my sympathies.